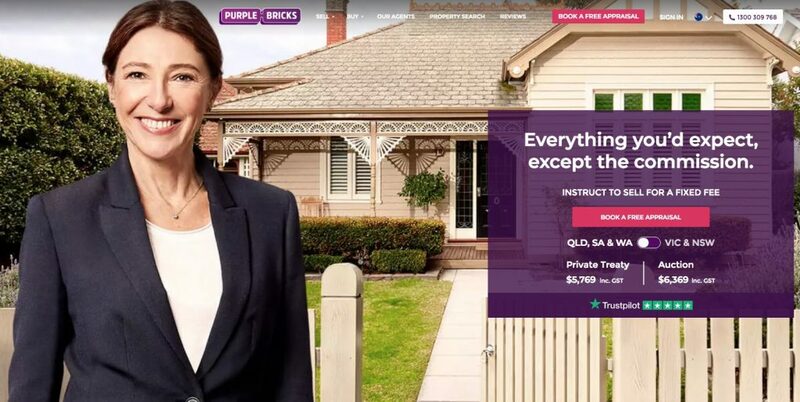 Fixed-fee real estate agents Purplebricks shares crashed 6.5 per cent to an 18-month low of £2.226 in London amid revelations that its agents in NSW had pressured clients to cut their asking prices by as much as 20 per cent to win a $5,000 cash prize, reports the AFR. Called the “NSW Raffle” agents had to secure a minimum 5 per cent reduction on three properties to go into the raffle which offered a $5,000 prize supported by Purplebricks co-founder Kenny Bruce. Purplebricks evidently ran the raffle to clear a growing list of unsold homes amid the slowing housing market. Real Estate Institute of NSW president Leanne Pilkington, who is also managing director of estate agency Laing + Simmons, said her jaw dropped when she read about the Purplebricks competition. “I am speechless. I am horrified. Asking prices dropping is something we all accept but trying to get a [minimum] 5 per cent reduction from everybody without discriminating at all, that’s outrageous,” she said. “I’ll be having conversations with the NSW Office of Fair Trading and seeing how this sits with them. Estate agents are paid to act in their clients’ best interests by law. How can this be in their best interests?” she said. Purplebricks initially threatened to go to court to get an injunction to block the AFR’s story but later defended its practices as “entirely normal”. Further trouble could be brewing for Purplebricks with a number of vendors coming forward last week to describe how Purplebricks agents pressured them to reduce their asking prices in NSW and other states. “I’m currently listed with their Victorian division, and yes, my agent has been hassling me to drop my asking price,” said a vendor who asked not to be named. Recently, the AFR revealed that WA’s Department of Mines, Industry Regulation and Safety, which is leading a joint examination of Purplebricks by state regulators, was investigating “suspected contraventions” of real estate, business and consumer laws by Purplebricks in WA. Purplebricks has sold more than 4,200 homes in Australia since launching two years ago, but this year has battled an exodus of “broke” agents amid accusations – strongly denied by the company – of a toxic work culture. Purplebricks recently announced it would increase its fixed fee to $8,800 – the third increase this year – with half to be paid up front and the rest on settlement. Agents who currently earn just over $1,000 per listing, can earn a second fee if they negotiate a sale. Anthony Codling from broker Jefferies International said the fee increase was a major catalyst for the company’s recent share plunge. Purplebricks’ share price in London has fallen 25 per cent over the past month after reporting a £21.3 million full year loss for the group globally and £11.8 million loss in Australia. Ben Reid, managing director of Ian Reid Vendor Advocates, called the Purplebricks vendor discounting competition “disgraceful”. “It is clear their modus operandi is not to get the highest and best price, but to get the listing and then get the property off their books quickly. “This is what happens when you operate with an upfront fixed fee. There’s no motivation to even sell because you have already been paid,” Mr Reid said. “Simply slashing the price” is not necessarily the only way to get a result in the current market, said Mr Reid whose firm takes a cut of agent’s commission as payment for advising on behalf of the vendor. He said presentation, marketing strategy, method of sale and having the right agent were all factors in getting the best outcome.